The Late Bronze Age (ca. 1500-1200 BC) was a period of great abundance and political stability in the ancient Near East. During the period, some of the greatest peoples of the ancient world, such as the Egyptians, Babylonians, and Assyrians, built magnificent palaces and temples and developed the first true global system of trade and diplomacy. Among the major powers that built this global system was the lesser known, but no less important, Hittite people who ruled over a vast kingdom that included most of the modern day nation-state of Turkey, as well as portions of the Lebanon and Syria. 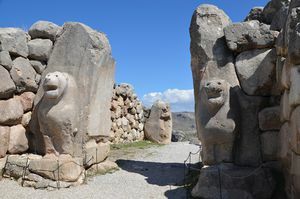 Although most non-academics know little about the Hittites, there is no doubt that they greatly influenced the course of history in the Late Bronze Age Near East. Through a number of wars and hard fought battles that took place over a several centuries period, the Hittites were able to build a military machine that rivalled anything their Near Eastern contemporaries could field. Eventually, the Hittites used that army to expand their territory, which contributed to the collapse of one of the other great Bronze Age Near Eastern kingdoms – Mitanni. Once the Hittites subdued Mitanni, they turned their attention to the Levant in the south, which is where they eventually came into conflict with the Egyptians. The wars between the Hittites and Egyptians ultimately ended in a peace treaty and alliance between the two kingdoms, but the other great kingdoms were put on notice that the Hittites were a military and diplomatic force that could not be ignored. Although at one time scholars believed that Anatolia (the region roughly congruent with modern day Turkey) may have been the ancestral home of the Indo-Europeans, most now think they originated in the steppes north of the Caucasus Mountains in central Asia. Several groups of Indo-Europeans separated from the main body to populate such areas as Europe, Persia, and northern India, with the people who would become the Hittites arriving in Anatolia in the early third millennium BC. Once the Indo-Europeans arrived in Anatolia, they fought with the native peoples, and each other, until the Hittites occupied central Anatolia and the other Indo-Europeans took control of the coastal and southwestern portion. Modern scholars of the ancient Hittites, much like with ancient Egypt, divide the culture chronologically into two “kingdoms” – Old and New. The Hittite Old Kingdom began with King Hattusili I (ruled ca. 1650-1620 BC), who conquered the city of Hattusa, making it the Hittite capital and center of Hittite culture for nearly 500 years. Hattusili I is credited with establishing many of the hallmarks of Hittite culture, such as royal kingship ideology and the first Hittite dynasty, but most importantly were a number of innovations in warfare. Although the Hittites were extremely successful on the battlefield, which was part of the reason why they were so influential as a people during the Late Bronze Age, the basic features of their army was not unlike their contemporaries. The Hittite king would ride into battle on a chariot, leading his army, which was in turn shepherded by an elite chariot corps. The fundamental difference between the Hittite army and the Egyptian army was the construction and size of the chariots. Hittite chariots were larger and less maneuverable than their Egyptian counterparts, but they were able to carry three people – the driver, a warrior with a stabbing spear, and a “shield bearer” who protected the driver and warrior – as opposed to Egyptian chariots, which only carried a driver and a soldier who doubled as a shield bearer and archer. Egyptian chariots were used to volley arrows into the enemy lines in hit and run attacks, causing confusion and allowing their infantry to mop up the enemy. In contrast, the Hittites used their heavy chariots as the vanguard of an assault that was thrust directly into the enemy lines in close quarter combat. Once some of these battlefield technologies and techniques were mastered, later Hittite kings used them to expand the Hittite Kingdom. The Hittite dark age ended when Tudhaliya I (ruled ca. 1430-1410 BC) came to the throne in Hattusa, but it was Suppiluliuma I (reigned ca. 1370-1330 BC) who truly made the Hittite Empire into a strong, militaristic state that was on par with the other great Near Eastern kingdoms of the period. Because of his efforts, Suppiluliuma I is often referred to by modern historians as Suppiluliuma “the Great.” Suppiluliuma I’s success was achieved not just through sheer brute force, but a combination of well-time and well-planned military campaigns combined with a clear and consistent diplomatic policy proved to be a winning formula. Not long after assuming the kingship, Suppiluliuma I recovered lost Hittite lands in Anatolia and then contracted a marriage with a Babylonian princess. The marriage allowed Suppiluliuma I to focus the Hittite army on Mitanni, which was a bordering kingdom and therefore a more immediate threat. “I, the Sun Suppiluliuma, the great king, the king of the Hatti land, the valiant, the favorite of the Storm-god, went to war. Because of king Tusratta’s presumptuousness I crossed the Euphrates and invaded the country of Isuwa. . . I, the Sun Suppiluliuma, the great king, the king of the Hatti land, the valiant, the favorite of the Storm-god, reached the country of Alse and captured the provincial center Kutmar. To Antar-atal of the country of Alse I presented it as a gift. I proceeded to the provincial center Suta and ransacked it. I reached Wassukanni. The inhabitants of the provincial center Suta together with their cattle, sheep (and) horses, together with their possessions and together with their deportees I brought to the Hatti land, Tusratta, the king, had departed, he did not come to meet me in battle.”  Tushratta was assassinated by his inner circle and his son fled to Hatti to live as a refugee. Suppiluliuma I had effectively toppled the once mighty Mitanni Kingdom and made it a vassal of the Hittites. 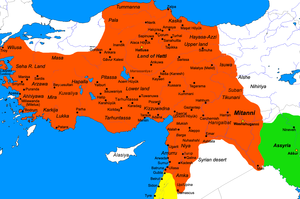 With Mitanni eliminated, the Hittites were then able to turn their attention to the abundant resources of the Levant. Suppiluliuma’s long life and effective rule did not end gloriously on the battlefield or of old age, but was probably the result of a plague that infected Egyptian prisoners brought back to Hattusa. Although the king’s death was certainly tragic and somewhat of a setback for the growing Hittite Empire, it also demonstrated the Hittites’ increased influence in the region and the early stages of their long enduring conflicts with the Egyptians. But before the Hittites would engage in any serious military operations against the Egyptians, they needed to retake their own lands once more. Mursili II (reigned ca. 1321-1295 BC) proved to be another effective ruler as he quickly subdued internal unrest that was caused by Suppiluliuma I’s death and then turned his attention to the other Indo-European kingdoms of Anatolia. 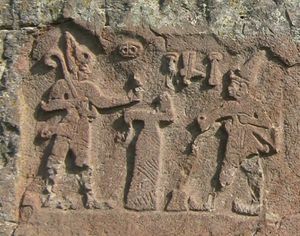 Mursili II put a pro-Hittite puppet king on the throne of Arzawa and then defeated Ahhiyawa in a battle that left the Hittites as the undisputed rulers over most of Anatolia. The Hittites’ toughest battles, though, would be in the Levant where they fought the Egyptians for control of the region. 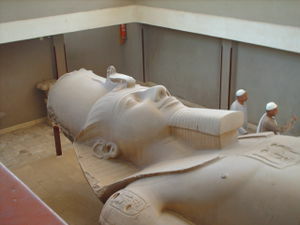 The Hittites began to slowly claim land in the northern Levant, which was traditionally under the aegis of Egyptian influence, until the Egyptian King Ramesses II (ruled ca. 1290-1224 BC) decided to check Hittite aggression around the year 1286 year a village named Kadesh. The Hittite army, which was led by King Muwatalli II (reigned ca. 1295-1272 BC), was waiting for the Egyptian army. Although the battle was essentially a strategic stalemate, it proved to be a tactical victory for the Hittites because they were able to strengthen their hold in the region around Damascus. From that point on, the borders of the Egyptian and Hittite empires was fixed, forcing the two parties to adopt diplomacy to forward their agendas. The military alliance between the Egyptians and Hittites was never activated. In less than fifty years the entire Bronze Age system collapsed under the weight of the Sea Peoples’ invasions and the Hittite Empire was destroyed. Today, the Hittites are not one of the better known peoples of the ancient Near East, but they were just as powerful and influential as most of their contemporaries. The Hittites were able to influence the course of history during the Late Bronze Age through their martial abilities, first by reducing the once powerful Mitanni Kingdom to vassalage status and then claiming lands in the northern Levant that were once held by Egypt. 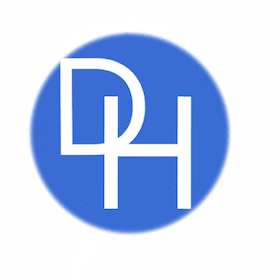 Along with their aggressive military policy, the Hittites pursued a diplomatic program that allowed them to consolidate their gains and stabilize their kingdom.